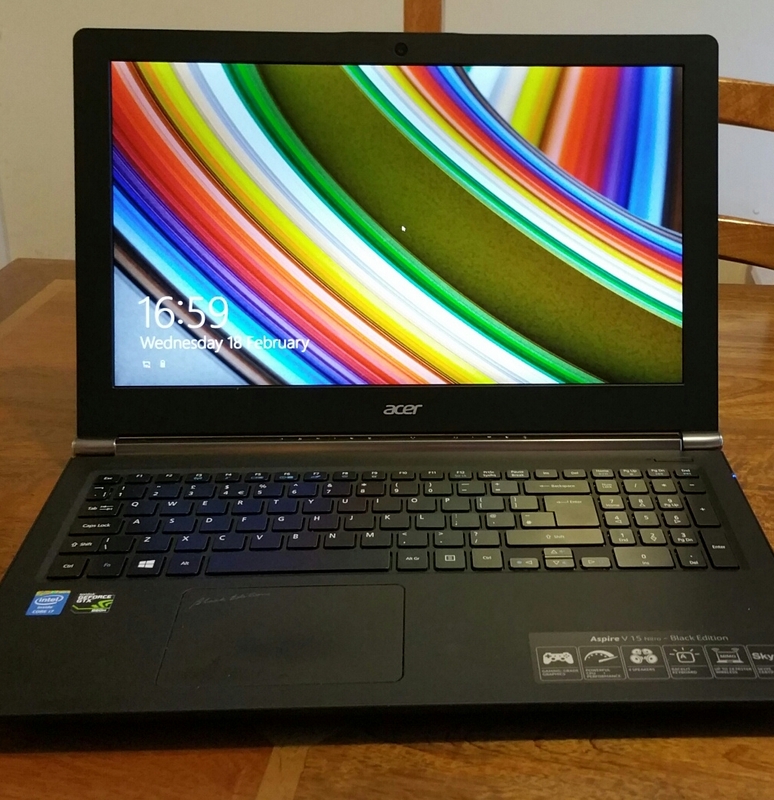 Welcome to my thoughts on the Acer V15 Nitro Black Edition Windows 8.1 laptop. 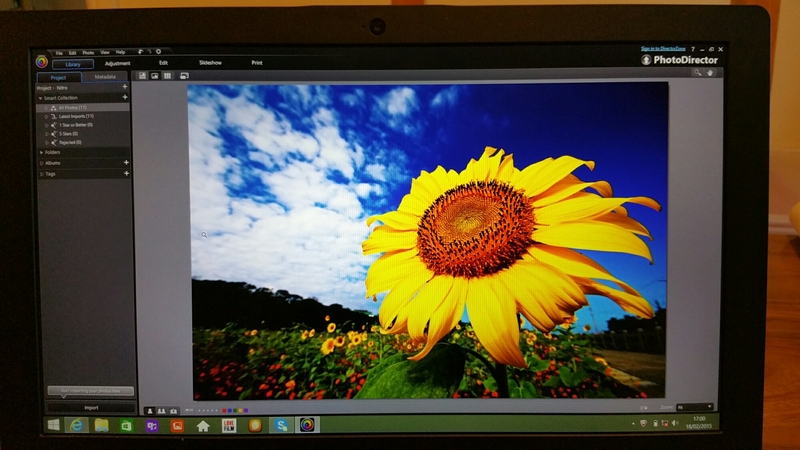 This is one powerhouse of a laptop. You could call it the “powerful one”. 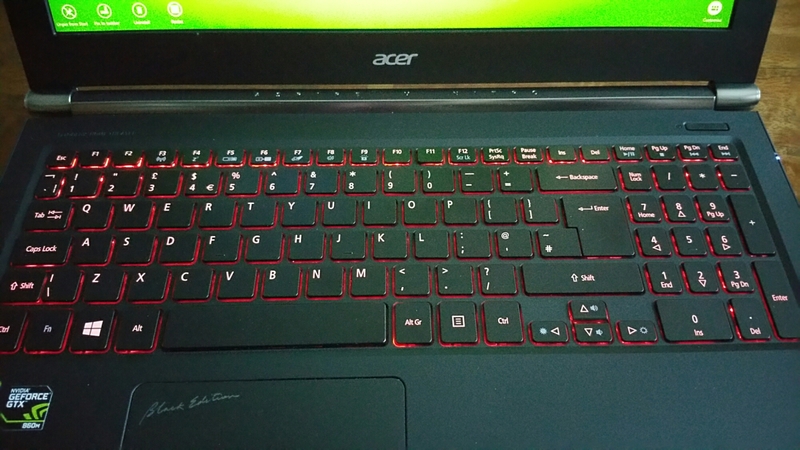 As part of the Nitro black themed laptop, the keyboard back lighting is red. This looks cool IMO. The display is fabulous. Just look at the colours of the sunflower. That’s the beauty of its IPS 1080p screen resolution. If you want 4K resolution this is available too as an option. 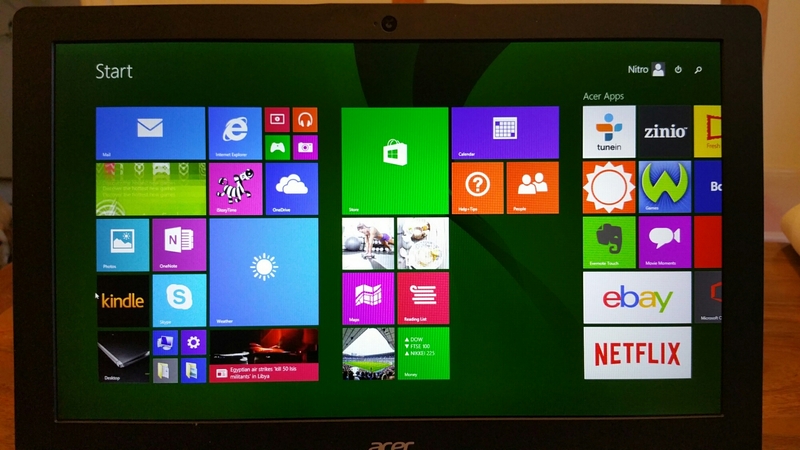 The Acer V15 runs Windows 8.1 so has the world of Microsoft at your finger tips. To keep the slim profile, there is no DVD/CD drive. The opposite edge only houses the kensington lock point. On the side shown above you have the USB ports(3), headphone socket, HDMI, ethernet, and power connector. On the front edge is a memory card slot. So what makes this “Nitro” edition so special. Simply, this is a pure gaming grade laptop, with huge graphics, powerful CPU, 4 decent built in speakers, MIMO wifi and Skype certified out of the box. The 4 speakers provide a decent loud sound. The volume was near full volume when I first used the machine, which made me stand back at just how loud it could go. The storage configuration is a 128 Solid State Drive with a 1 TB hard drive. Plenty of storage space! And the SSD for speed. If you look back at the specs above, you will note the Intel Core i7 and respective graphics chip. So am I blinding you with specs? Slightly, but in real life this means you will have power on tap. From a cold boot to a ready on state. Less than 7 seconds and fully ready. Impressive. Just as quick to fully shut down too. Editing video was notably faster on the Nitro too. My 4 year old MacBook Pro can barely cope with video editing and takes nearly 2 mins to boot up from cold. Gaming. I played several games, again with no issue whatsoever. In my other article covering the Acer Chromebook, I commented how much I enjoyed this. However, I have been surprised at just how quick all my photo and video editing can be accomplished with this machine. It really is night and day faster than my 4 year old MacBook Pro. Plus with a Windows 8.1 base, my gaming options are vast. I now face a dilemma. Since using this, I just can’t accept anything inferior! 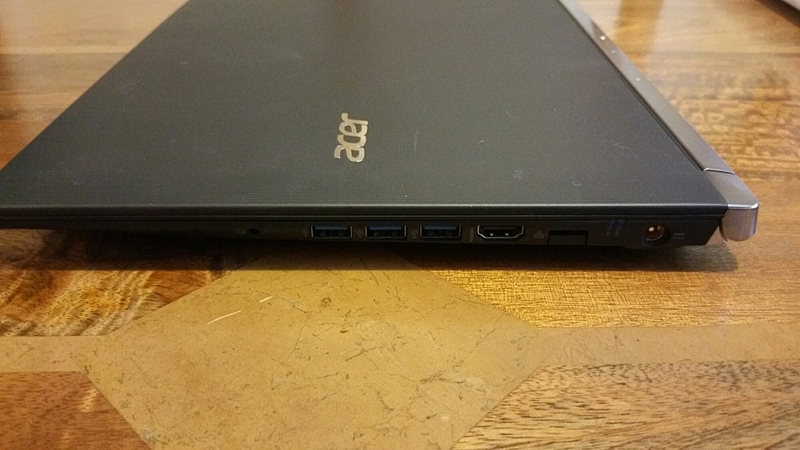 Thanks go out to Acer for the review unit.